The thrillingly dark sequel to New York Times bestseller, DIVERGENT - a major motion picture franchise. One choice can transform you - or it can destroy you. Tris Prior's initiation day should have been marked by victorious celebrations with her chosen faction; instead it ended with unspeakable horrors. Now unrest surges in the factions around her as conflict between their ideologies grows. War seems inevitable; and in times of war sides must be chosen, secrets will emerge and choices will become ever more irrevocable. Tris has already paid a terrible price for survival and is wracked by haunting grief and guilt. But radical new discoveries and shifting relationships mean that she must fully embrace her Divergence - even though she cannot know what might be lost in doing so. 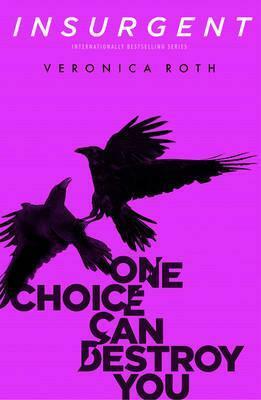 New York Times bestselling author Veronica Roth's much-anticipated second book of the dystopian Divergent trilogy is another intoxicating thrill-ride, rich with hallmark twists, heartbreak, romance and powerful insights about human nature.